We explore the history of global pharmaceutical group Hoffmann-La Roche from where it first began, to its core structure and its focus for the future in personalised medicine. Roche was found in 1896 by a man called Fritz Hoffmann-La Roche. The visionary founder was “among the first to recognise that the industrial manufacture of standardized medicines would be a major advance in the fight against disease”. He focused his company on innovation and establishing an international presence. Today, Roche is headquartered in Basel, Switzerland. The company now employs 80,000 people across a number of pharmaceutical and diagnostic sites across the world. Roche was founded during the industrial revolution. Fritz wasted no time in starting to fulfil his goal of international expansion, beginning with moving all manufacturing to his expanded production facility in Grenzach, Germany between 1897 and 1910. Along with his new partner, Carl Meerwein, the pair built up a network of European and overseas agents and subsidiaries and by 1914, Roche had opened offices in Milan, New York, St. Petersburg and London. When the First World War began in 1915, Roche found itself facing an international and financial crisis. The German’s boycotted its products and Roche’s headquarters in Basel became isolated from its manufacturing plant in Grenzach. Then, the company lost its assets and place in the Russian pharmaceutical market during the Revolution of 1917. As the company began to overcome the crisis, Roche’s founding father, Fritz Hoffmann-La Roche passed away in 1920. From very early on, the company was known for producing various vitamin preparations and derivatives. Under the new leadership of chairman, Emil C Barell, Roche experienced an unexpected upsurge spurred by its vitamin production, enabling the return to prosperity possible once more. In 1934, Roche was the first company to mass produce synthetic vitamin C, under the brand name redoxon. It was following this success that Roche further expanded its strong commitment with the United States. To avoid dependency on vitamins, Roche intensified its pharmaceutical research. Between the early 1950s and mid-1960s, Roche’s pharmaceutical portfolio was extremely diverse, with products ranging from antidepressants to antimicrobials to agents for cancer chemotherapy. The antidepressant, iproniazid, was accidently created by Roche during an experiment intended to create a more efficient drug for tuberculosis. Iproniazid was withdrawn from the market in the early 1960s, however, due to toxic side-effects. In 1957, Roche introduced the class of tranquilizers known as benzodiazepines, which count valium and rohypnol as its most widely recognised members. The desired effect of these benzodiazepines was that they sedated patients without drowsiness. Between 1965 and 1978, Roche expanded its business further into the spectrum of healthcare. Branching out into basic biomedical research, it was during this period that the Roche Institute of Molecular Biology in Nutley, US, the Basel Institute for Immunology and the Nippon Research Center in Kamakura, Japan were established. However on July 10th 1976, Roche experienced a major setback when there was an accident at a chemical factory in Seveso, Italy, owned by a subsidiary of the company. This accident caused a large dioxin contamination in the surrounding communities. A few years after the dioxin disaster, Roche started to tighten organisational structures across its many divisions. After a general alignment of the company’s structures, Roche was left with four core business sectors – pharmaceuticals, vitamins and fine chemicals, diagnostics, and flavours and fragrances. In 1982, the United States arm of Roche acquired Biomedical Reference Laboratories, for US $163.5 million. That same year, Roche merged all of its laboratories and called the merged company, Roche Biomedical Laboratories, which was located in Burlington. By the early 1990s, Roche Biomedical Laboratories was one of the largest clinical laboratory networks in the United States, with 20 major laboratories and sales of approximately $600 million. Roche sold its laboratory network to National Health Laboratories Holdings Inc (as it was called back then) in April 1995. On September 30th, 1996, Roche entered into a collaboration agreement with Gilead Sciences, who had discovered oseltamivir, the primary antiviral drug used to combat avian influenza, commonly known as bird flu. Under terms of the agreement, Roche purchased the rights to the drug, and in 2005, the company settled a royalty dispute, agreeing to pay Gilead tiered royalties of 14-22% of annual net sales. It was during 2005 that Roche decided to license other companies to manufacture oseltamivir. A year later and Roche had redefined its structure once again. This time, the company decided to focus solely on two main divisions – pharmaceuticals and diagnostics. It was also during this time that the company began its mission into personalising healthcare. According to Roche, “personalised healthcare means the right therapy for the right group of patients at the right time”. An increased focus on innovation and medical biotechnology has allowed Roche to make important advances in diagnostic techniques and innovative medicines aiming at molecular targets. After eight months of negotiations, Roche’s personalised medicine dream further came a reality when on March 12th 2009, Roche agreed to fully acquire biotech pioneer, Genentech, in which it had held a majority stake since 1990. This acquisition was finalised on March 25th. 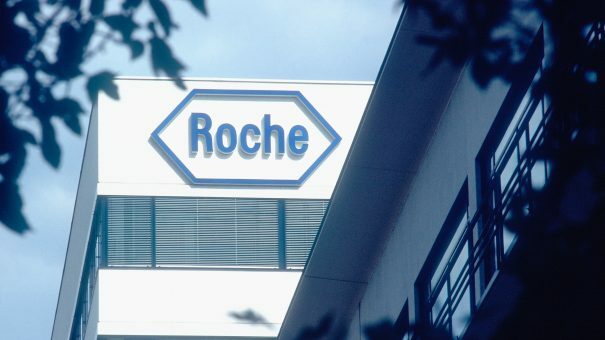 As a result, Roche moved its research facilities to Nutley, while the US Headquarters in Nutley was moved to Genentech’s facility in San Francisco. Genentech strengthens Roche’s access to innovation and new technologies, in order to continue driving forward the commitment for more targeted treatments. Today, Roche has had many successes within the field of personalised medicine, and has become the leader in oncology, now established as the most important therapeutic field in terms of revenues and future growth. In diagnostics, Roche is providing biomarkers and research assays that will help during drug development, as well as tests to guide treatment decisions in medical care. 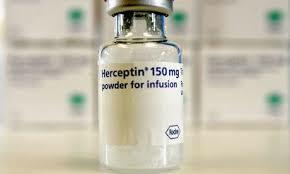 Pharmaceutical sales included strong growth from Roche’s top line products –HER2+ breast cancer therapy, Herceptin (trastuzumab), colorectal cancer treatment, Avastin (bevacizumab), rheumatoid arthritis drug Actemra, and non-small cell lung cancer treatment, Tarceva (erlotinib hydrochloride), among others. The healthcare landscape is constantly changing, so it’s impossible to say where exactly Roche will be in ten years’ time. 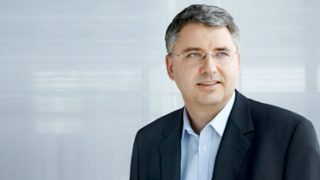 In 2012, the current CEO of Roche, Severin Schwan, announced that “more than 60% of [Roche’s] pharmaceutical pipeline projects are coupled with the development of companion diagnostics in order to make treatments more effective”. The science is leading researchers towards personalised medicine, with the promise of increasingly targeted and effective drugs. 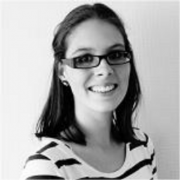 As Roche themselves have recognised, “it will be a while before this potential is fully realised, but the market is clearly shifting away from ‘one size fits all’ products”.